Culturally, the Japanese See Bathroom As A Place Of Well-Being. So does TOTO. 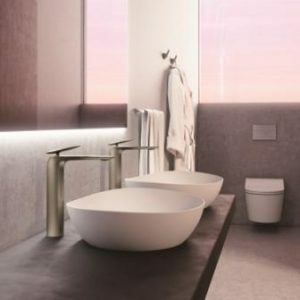 BuildingandInteriors 2019-03-26 Architecture, Bathroom Fittings & Accessories, Sanitaryware, TechnologyTagged Bathroom Fittings, David Marquardt, MACH Architektur, Sanitaryware, TOTOLeave a Comment on Culturally, the Japanese See Bathroom As A Place Of Well-Being. So does TOTO. Design is very important in Japan – but how people feel while using products every day is much more essential. 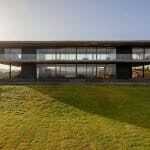 Both of these aspects should display a balance in an Architect’s design. 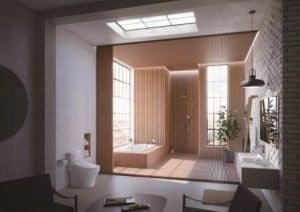 Japanese bathrooms brand TOTO is known to work with Architects around the world to create elegant and functional bathroom spaces. 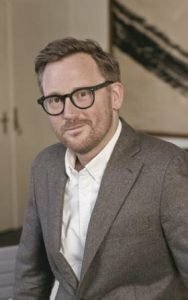 Mr.David Marquardt, Partner, MACH Architektur, is one such name. Mr.Marquardt’s involvement with TOTO is a testimony to the canvas that TOTO offers to the Architects for creative applications, with cues from Japanese culture. In the above designs by Mr.David Marquardt, for a loft in Berlin, existing elements blend with new ones. The Japanese see the bathroom as a place of well-being, and so does TOTO. Wood is used to exude warmth, perfectly paired with the timelessly elegant and understated TOTO products. Mr.Marquardt focuses on the respectful use of space – as he observed on many travels in Japan, and turned into reality in his design. 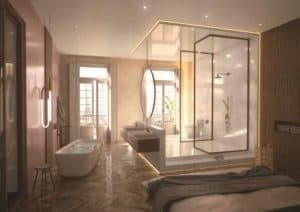 In this remodelling project in Paris, a solid piece of marble is used to create a contrast with the vintage building. 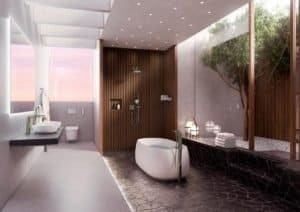 The focal point of the room is a large bathtub for relaxation and regeneration, inspired by the idea of the traditional Onsen – a hot spring where people go to relax. The onsen plays an impor­tant role in Japanese bathing culture. Everything has its size and dimensions. Mr.Marquardt finds this principal to be typically Japanese. Unlike many other floor plans in Japan, this one is spacious, but the dimensions of the TOTO was basins still fit perfectly here. A hotel room. The indoors and out­doors merge together, allowing people to experience nature in the room. Many spaces in Japan featuring exclusive, high-quality architecture follow this same design principle. 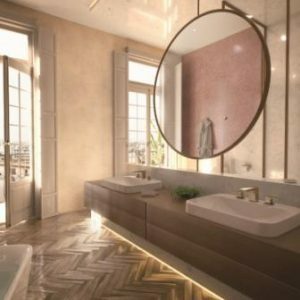 Mr.Marquart incorporated this idea into his designs and created a very warm, natural and comforting ambience with TOTO products – especially the curved, organic bathtub.